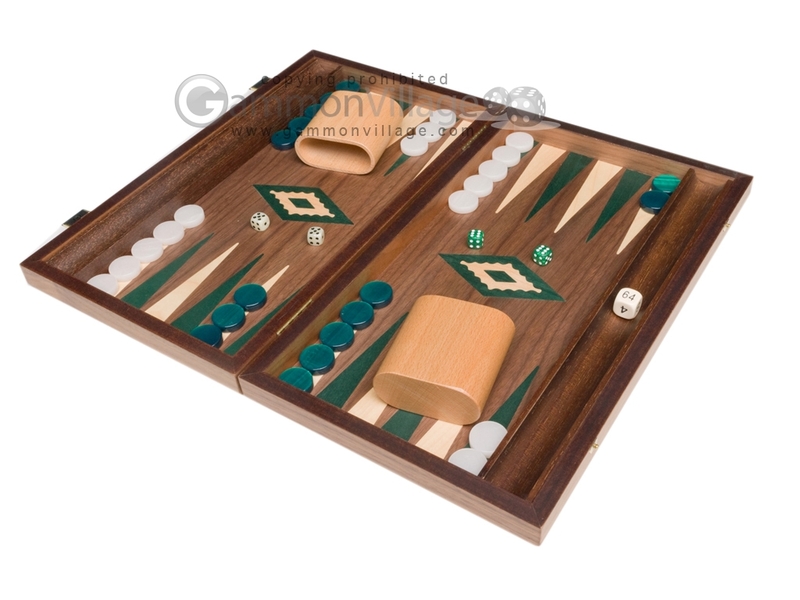 This medium walnut backgammon set features a meticulously inlaid walnut playing field, with green poplar inlay for point 1, and oak inlay for point 2. The case trim and checker trays are finished in solid walnut. Page P5206 Copyright © 1999-2019 GammonVillage Inc., USA. All rights reserved.